Aavin Salem Career Recruitment 2017-2018 Application Form for 04 Heavy Vehicle Driver Posts. Aavin Salem Heavy Vehicle Driver Jobs Notification 2017 Released. 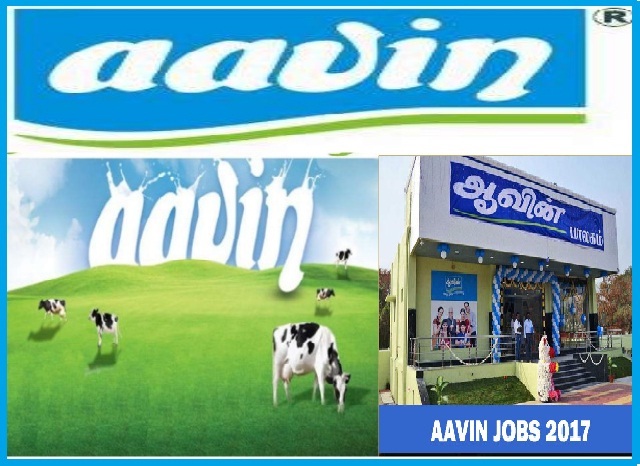 The Interested and Eligible Candidates are requested to Download Application through Official website www.aavinmilk.com. The last date for submission of applications is 15.12.2017. Aavin Salem Syllabus, Aavin Salem Question Paper, Aavin Salem Admit Date Release Date, Aavin Salem Exam Date, Aavin Salem Result Date Given Below. Aavin Salem Recruitment 2017 Driver Posts - Apply Online. Age Relaxation as per Government order. The Retirement age for all posts is 58 years. Payment of fee should be made by way of demand draft only, drawn in favour of “The General Manager, Salem District Co-operative Milk Producers Union Ltd.,” and payable at Salem. Demand draft can be drawn in any one of the Nationalised Banks / Cooperative Banks and examination fees for each post should be remitted separately. Any other modes of payment like cheque, postal order and cash will not be accepted.